When it comes to preservation of cultural heritage and/or managing histotical cities, access to finance can be a challenge for local stakeholders. During our “Space4Culture” conference this October, we've had the opportunity to discover the latest funding opportunities put forward by the European Commission under the Horizon2020 Research and Development programme to bring space closer to cities. Aimed at both private and public stakeholders, these can facilitate the integration of satellite based applications (Earth Observation, satnav, satcom), as well as other types of technology to manage cultural heritage sites and more. A detailed look at the calls can be found in Ms Virginia Puzzolo, Head of Space Project Management Sector at the EU's Research Executive Agency's presentation here. Here are our top 8 picks! SPACE-01-EO-2018-2020: The call aims at fostering the development of products that use Copernicus data to create user-centric operational services that will be useful in a number of fields, ranging from environmental protection to land management, infrastructure monitoring and management of cultural heritage. LC-SPACE-04-EO-2019: Aims to support research activities to foster cross-cutting applications of Earth observation data between sectors ranging from energy to agriculture, health, cultural heritage, and ecosystem preservation, among others. LC-SPACE-05-EO-2019: The call is directed towards putting together a gap analysis to prepare future activities for Copernicus data. The call challenges the scientific community to map the requirements (type of measurements, geophysical parameters acquired, resolution in space and time, data uncertainty and quality, timeliness, etc.) for in situ data and compare it to the existing observation system to find gaps. It also invites bidders to propose IT solutions to harmonise the acquisition and harmonisation of in-situ data and to better integrate it with Copernicus data. 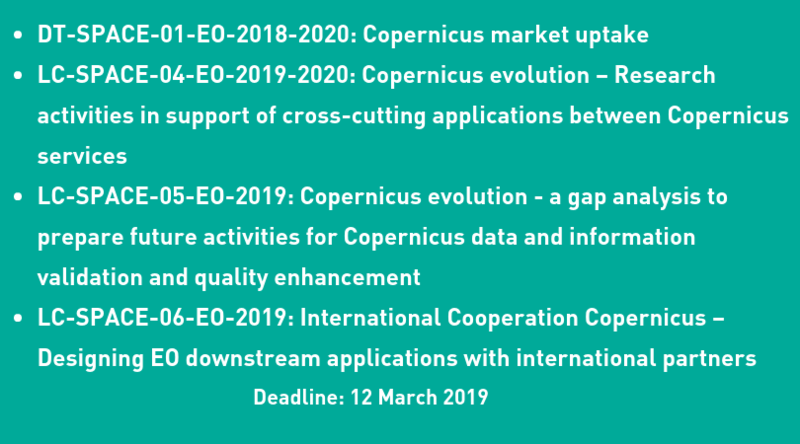 LC-SPACE-06-EO-2019: Challenges bidders to enhance international cooperation for the shared use of Copernicus data through jointly developed algorithms, services and/or products which could serve local public authorities. Participants are encouraged to use the Copernicus Data and Information Access Services (DIAS) cloud storage, or other existing data access solutions. 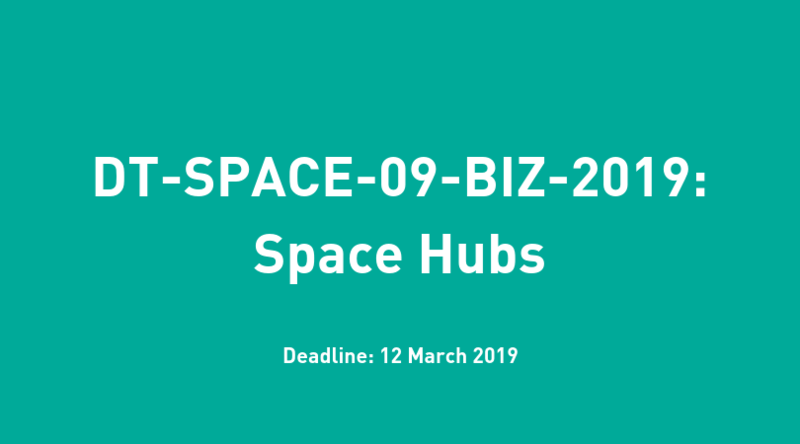 DT-SPACE-09-BIZ-2019: Space Hubs aims to specifically support stakeholders that can organise initiatives at local level for start-ups, scale-ups and entrepreneurs to use and commercialise Copernicus and Galileo based products (but not exclusively). Under the Horizon 2020 Work Programme Part “Climate action, environment, resource efficiency and raw materials”, the call SC5-20-2019 is now open for applications! Proposals should include actions to re-activate and re-generate historic urban areas and/or cultural landscapes. They should foster innovation by relevant start-ups, cultural and creative industries, including from the digital technologies sector, small scale advanced manufacturing producers and local 'makers', craft workshops, etc. for adaptive re-use and leverage of heritage assets and social integration. 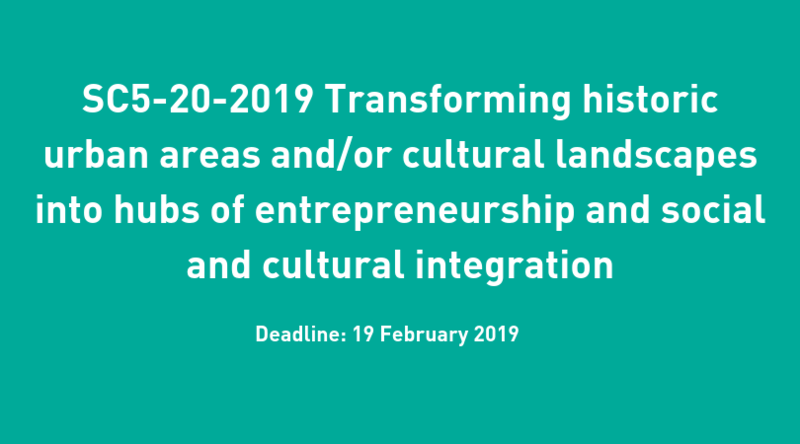 Under the Horizon 2020 Work Programme Part “Europe in a changing world – Inclusive, innovative and reflective societies”, the call DT-TRANSFORMATIONS-11-2019: Collaborative approaches to cultural heritage for social cohesion aims at making cultural experiences more accessible and inclusive. 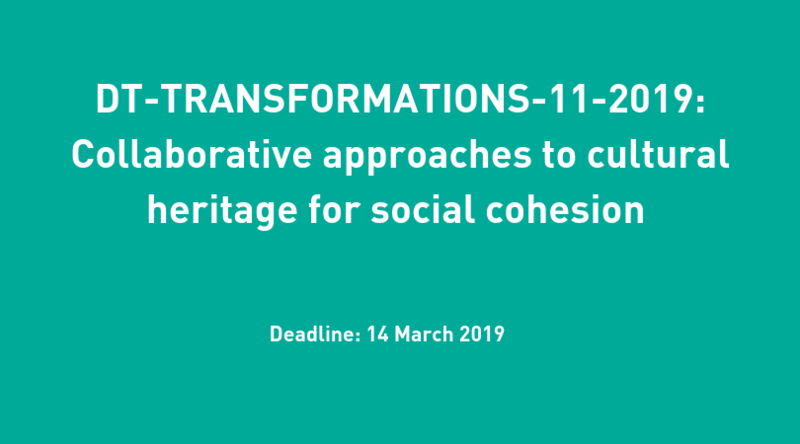 Proposals should develop strategies for fostering collaborative and participative approaches to cultural encounters via communication channels such as social media platforms, participatory approaches, art and co-designed activities. Proposals should consider both tangible and intangible heritage, researching new applications and tools that allow for a more inclusive approach such as digital tagging of objects or co-authoring of societal and place-based memories. 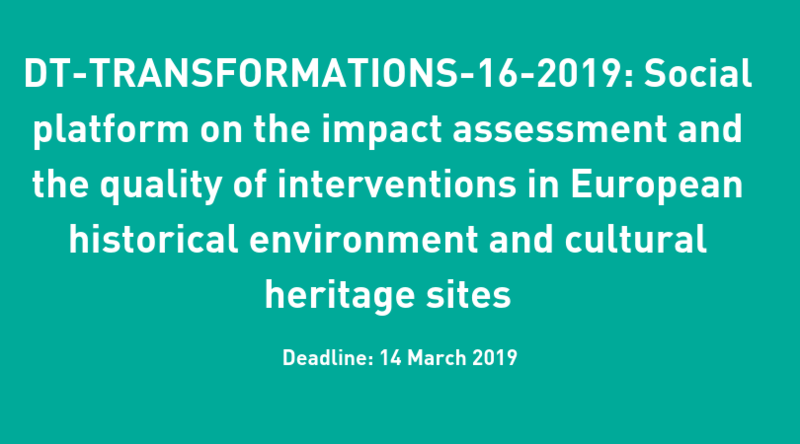 Bidders to the DT-TRANSFORMATIONS-16-2019 call should propose actions to develop a platform to achieve a common understanding of the requirements for the quality of restoration and also of all other interventions in the historical environment and cultural heritage sites at European level. Consortia should include partners belonging to research communities, heritage professionals, public and private actors and policy makers at local, regional, national and international levels concerned with the impact assessment and quality of interventions on historical and cultural heritage. Don’t know where to start? Have a look at a list of “Tips&Tricks” on how to write a high-quality and successful proposal", presented by Ms Virginia Puzzolo, Head of Space Project Management Sector, Research Executive Agency of the European Commission during our “Space4Culture” event.